Where Are My Castanets: I think Ashley’s Long Program costume is a step in the right direction. She always looks elegant and regal and I think this more traditional style suits her skating better. 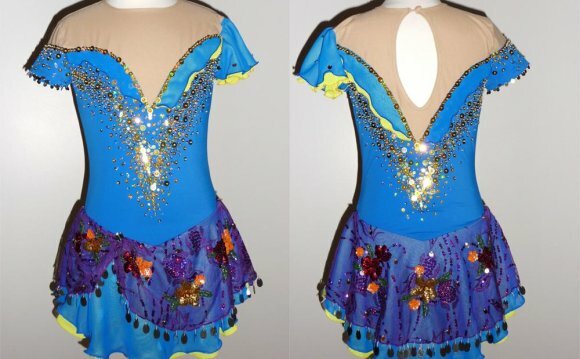 Although a bit fussy for my taste (not a fan of the ruffled “rickety-rack” trim that looks as if it came from JoAnn’s Fabric Store), the strapless effect of the dress and the beautiful Ombre-dyed skirt enhance her beautiful skating.